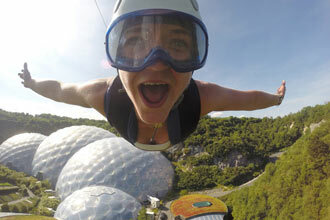 If you’re looking for an experience that will get your adrenaline pumping, then look no further than the Triple Whammy. 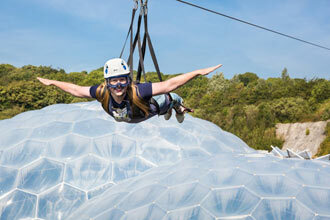 Flying along zip-wires, abseiling into the ‘Abyss’ and parachute simulators, this experience has everything covered. 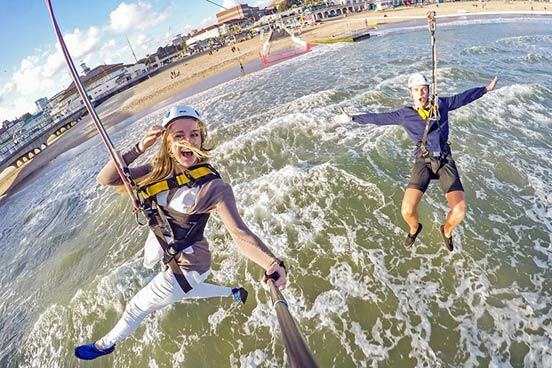 Once you’re into your safety harness its time for the fun to begin. This isn’t for the faint hearted! Next it's off to climb 143 steps to the abseil zone. 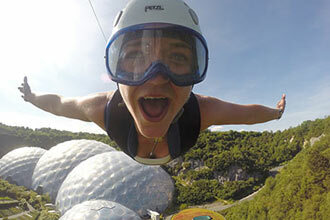 A trained instructor will advise you how to descend and then it's up to you to abseil into the Abyss from 150ft down into the chasm that is the face of steel and the dark and gloomy Abyss. After your experience photographs and merchandise can be purchased on site. Selected Saturday and Sunday dates, throughout the year. There are no qualifications or experience required for the activity. The minimum weight is 30kg (5 stone) and maximum weight is 120kg (17stone).